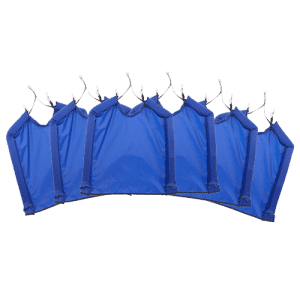 The Comfort-Cape is a soft and highly flexible shampoo tray that can be shaped to allow people to sit upright in any chair or wheelchair and get their hair shampooed. 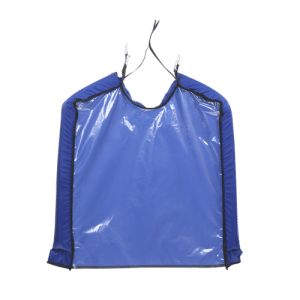 The Comfort-Cape is made of a water-resistant fabric with an added layer of flexible plastic for increased water protection. The foam rubber sides are enclosed in the water-resistant fabric which helps to support the cape’s shape and direct water flow. The Comfort-Cape is held in place with buckle fasteners or Velcro® strips. The length of the cape is designed to reach the bottom of most sinks or basins. 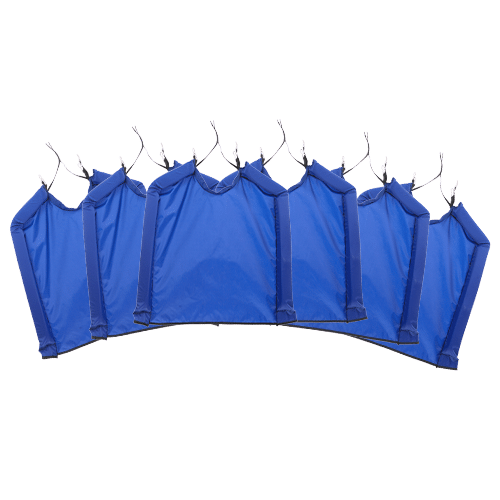 Created by a licensed hairdresser, the Comfort-Cape™ has been thoroughly tested in a salon and home environment and has surpassed customers expectations for quality and durability. The Comfort Cape is made in the U.S.A.
Free US Postal Service “Priority Mail” shipping to all 50 States & D.C.
Online orders usually shipped next day (but can take 1-3 business days). No express shipping is available. PLEASE NOTE: IF WE RECEIVE A REFUSED, UN-OPENED PACKAGE, ANY RETURN SHIPPING FEES WILL BE DEDUCTED FROM YOUR REFUND. PLEASE NOTE: IF WE RECEIVE A REFUSED, UN-OPENED PACKAGE, THE RETURN SHIPPING FEES WILL BE DEDUCTED FROM YOUR REFUND. If you live in the United States, you can print an Offline Order Form and Mail your order to Sobol Enterprises, the distributor of the Comfort-Cape™. Phone orders can be made by calling us at 843-347-0167 between the hours listed below. If you receive our voice mail, please leave your full name and phone number with area code so we can return your call.